Tuskiewicz, Virginia A. 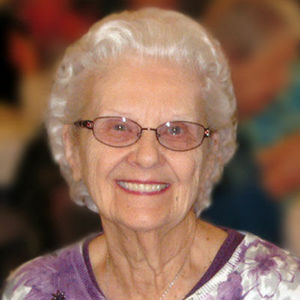 (nee Rulkiewicz) Age 86 March 4, 2017. Beloved wife of the late Walter. Loving mother of Nicholas (Linda), Fr. Joseph W., and Suzanne (Dennis) Flynn. Dearest grandmother of Jack and sister of the late Edward J. Rogers and Stanley J. Rogers. Visitation Thursday, March 9, 3-9 pm with a 7 pm Rosary at Wujek-Calcaterra & Sons, Inc., 36900 Schoenherr Rd. at Metro Pkwy (16 Mile Rd. ), Sterling Heights, MI. Funeral Friday, March 10, Instate at 9 am at St. Joan of Arc Catholic Church, 21620 Greater Mack (bet. Vernier and 9 Mile Rd. ), St. Clair Shores, MI until time of Mass at 10 am. Interment Mt. Olivet. Share memories with the family at their "On-Line Guestbook".